How do I change the language in my learner profile? 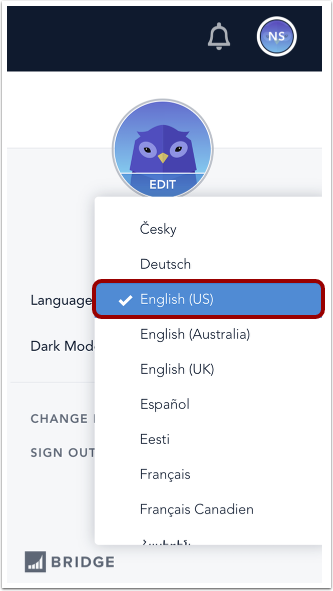 English is Bridge's default language, however, you can choose to view the Bridge interface in another language. 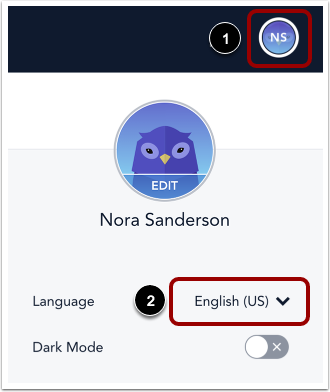 In the Global Navigation menu, click your Learner Avatar . Click the Language drop-down menu . In the language drop-down menu, choose your preferred language. Changes are saved automatically. View Bridge in your preferred language. Previous Topic:How do I add a profile picture? Next Topic:How do I enable the accessible version of Bridge as a learner? Table of Contents > Learners > How do I change the language in my learner profile? How do I enable the accessible version of Bridge as a learner? What languages does Bridge support?